Everyone has a bucket list these days…those things they want to accomplish in life before they “kick the bucket”. Some people want to travel the world, some want to drive an exotic car, and yet others want to climb a mountain. Pilots are no different. Each of us has something special that we want to accomplish in aviation, whether it’s an additional rating or something that has a deeper meaning to us. My wife absolutely loves the beach. That’s part of the reason that I proposed to her at the beach and we even got married on the beach! Couple my love of flying for her love of the beach, and it’s a match made in heaven. Anyone who has ever seen the crystal bluish-green water of the Caribbean knows the draw that I’m talking about here. There’s just something about going “feet wet” over the open water (with little to no land in sight), and landing on a completely different land mass than the one you took off from. This is the reason we fly! To be able to get to out of the way places that the rest of the population cannot easily access! The bonus is that this is a relatively easy trip to make. There IS a little bit of planning in advance required, but nothing terribly difficult or expensive to manage. We’ve actually already started planning a trip, and we hope to be able to write about this one in our blog upcoming. 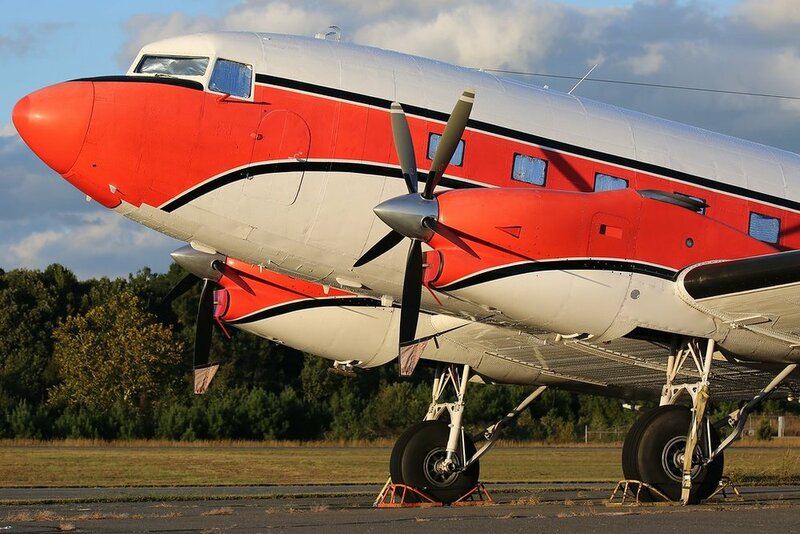 The Douglas DC-3 first flew in the mid-1930’s, but amazingly there are still examples of this old workhorse doing commercial service as I write this today! I have no earthly reason to need this type rating on my certificate, but the DC-3 holds a special place in my heart. Following World War II, my grandfather (father’s father) came out of the Navy after flying the Consolidated PBY Catalina. He would have a couple of different jobs flying aircraft following the war, but would eventually land with Lake Central Airlines flying the Douglas DC-3. He would stay with the company through mergers and acquisitions until retiring in the early 1980’s with USAir on the DC-9-30. Being able to be typed on the DC-3 just feels like me reaching back through the past to fly with my grandfather once again. There are a few places that are sacred ground when it comes to aviation. For example, several pilots tend to make a pilgrimage to Kitty Hawk, NC to see the site where the Wright Brothers first achieved powered flight. I have a different pilgrimage in mind. For aviation photographers, one of the hottest spots in the world to take photos of aircraft is at Maho Beach in St. Maarten. I’m sure you’ve seen the photos of large commercial aircraft swooping in across the beach as they arrive into the Princess Juliana International Airport. This is definitely my happy place. My wife and I went to St. Maarten on our honeymoon, and I’m fortunate that she allowed me a day to just sit on the beach, drink piña coladas, and watch airplanes. She’s a good woman. But as much as I love watching airplanes, I longed to be the one flying the approach across the beach, all the while photographers taking photos of my aircraft. Call it vain, but hey, this is my bucket list, not yours! I’ve said it before and I’ll probably say it several more times…I cannot remember a time in my life when I was not in and out of airplanes. My other grandfather (mother’s father) was an amazing man. Very little actual education, but the guy was an absolute genius when it came to all things mechanical. 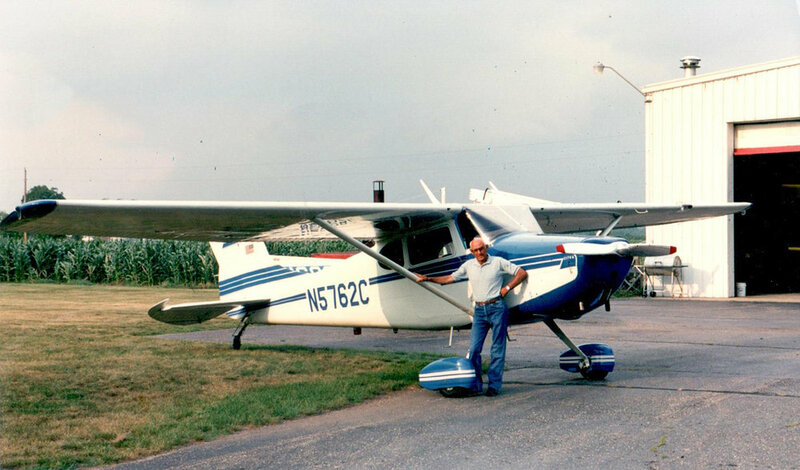 My earliest memories of flying include riding with him in his 1950 Cessna 170A, N5762C. He kept that airplane in tip-top shape and always beautifully clean. He would take me all over the place in that airplane, always letting me take the controls when the opportunity allowed. I always thought I would be destined to own that beautiful aircraft one day, so it broke my heart when (after a heart attack) he lost his medical certificate and sold the aircraft. Since then, I’ve followed it around through various owners, and have even seen it for sale at one point. Unfortunately, I was not in a position to purchase it at that time, but it remains very much on my mind. SO…if you are reading this blog and you currently own N5762C, drop me a line! I would love to keep in touch with you!! As I mentioned above, my grandfather served in the US Navy during World War II. He was stationed in the South Pacific and flew the Consolidated PBY Catalina in a variety of roles. There is nothing glamorous about this aircraft other than it has the capability to take off from land and then touch down on the water. It was a workhorse throughout the war, but unfortunately there are few remaining flying examples today. I’ve seen several in museums, and every time, it just seems like they are calling to me. This is purely about touching history for me, and strangely seems to be the most difficult one to accomplish on this list! I think this is a pretty solid list. To be honest, I'm amazed at the opportunities that I've had so far in my life of aviation! If I happen to accomplish one or more of these, you can bet there will be a write up about it, and I will adjust my list accordingly to keep five things on there always. Let’s hear about one thing that is on your aviation bucket list!